Mail is a flexible mesh of interlocking iron links. 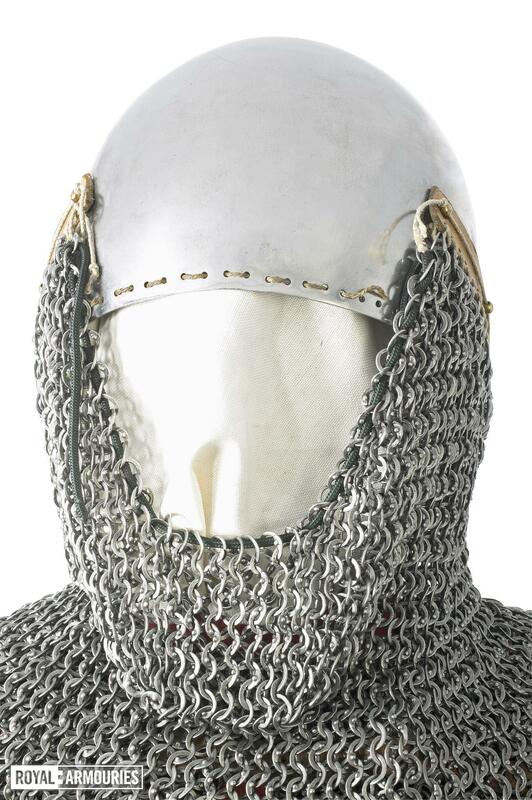 Before the introduction of plate armour, it was the standard form of metal armour throughout Europe. 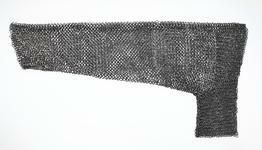 Mail was probably invented by the Celts around the 3rd century BC. 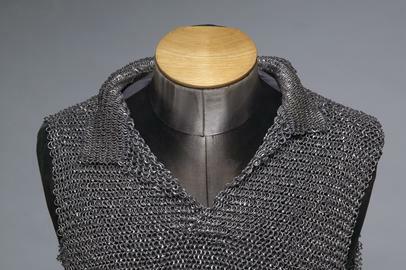 Mail would normally have been worn over quilted garments, which would help to absorb blows and protect the wearer from the mail itself. It was made all over Europe, but particular towns such as Cologne and Nuremberg were regarded as specialists. 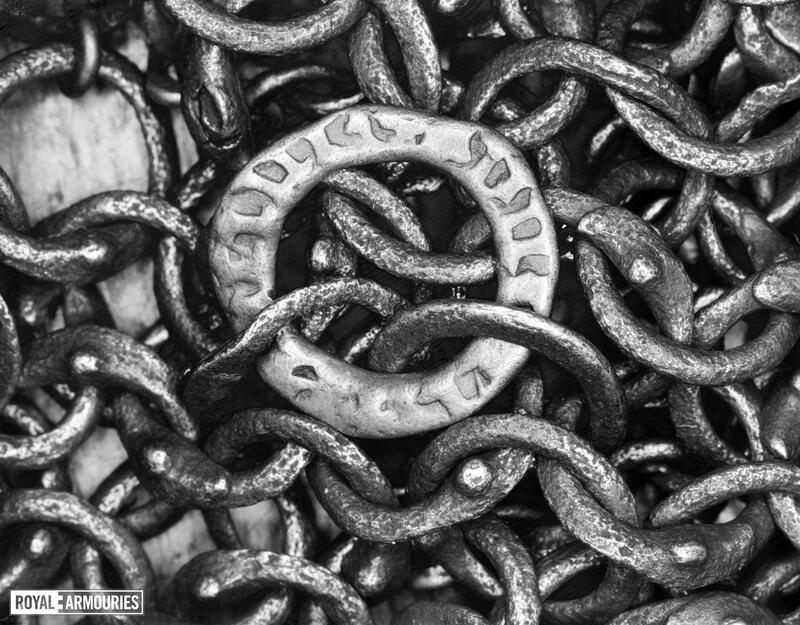 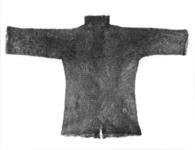 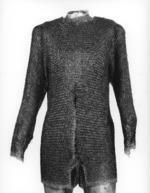 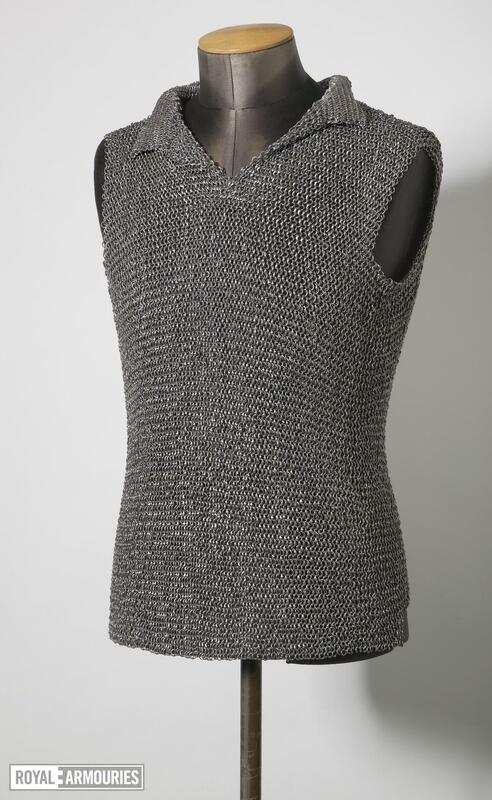 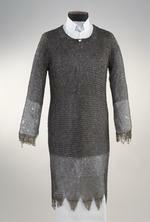 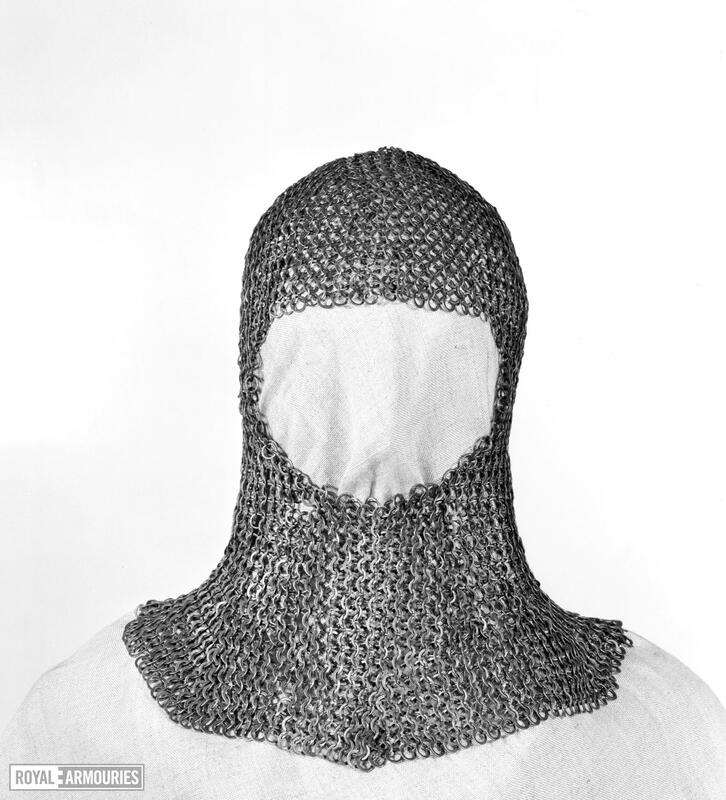 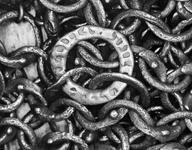 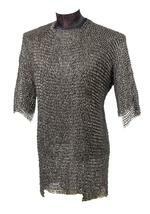 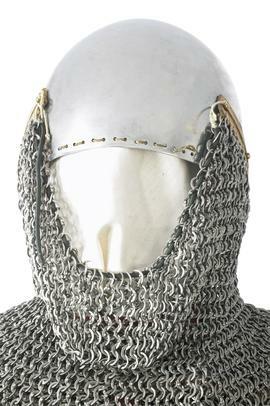 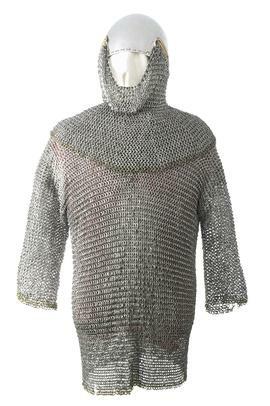 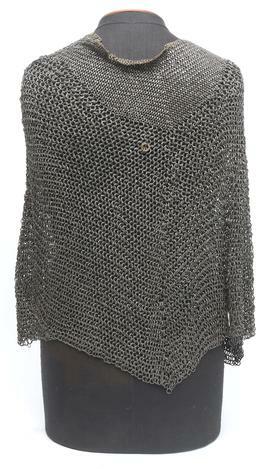 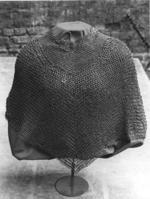 A single mail shirt, or hauberk, could contain thousands of individual iron or steel links. 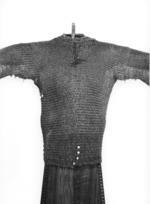 It was expensive and time consuming to make. A knee-length hauberk might be composed of between 28,000 to 50,000 links and take up to 100 days to construct. 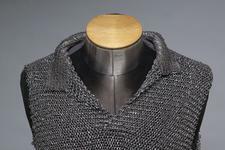 Some mail shirts could be 'made to measure' to some degree. 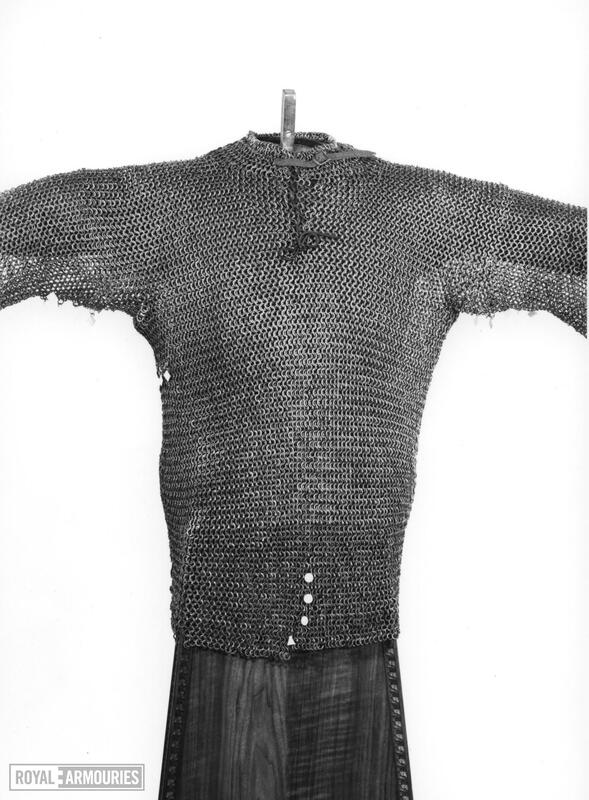 Mail was a very good defence in some respects. It was flexible, allowed muscular movement, and sword blows (at a time when the sword was used as a cutting, not a thrusting weapon). 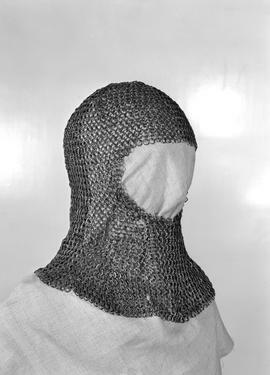 It was less effective against piercing and percussive blows (such as those from arrows and maces). 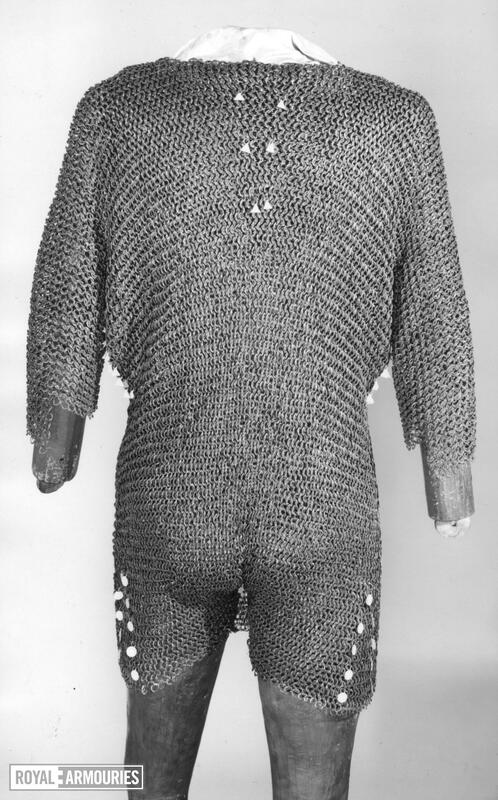 A padded garment was often worn under the mail shirt to make it more comfortable and to act as a shock absorber. 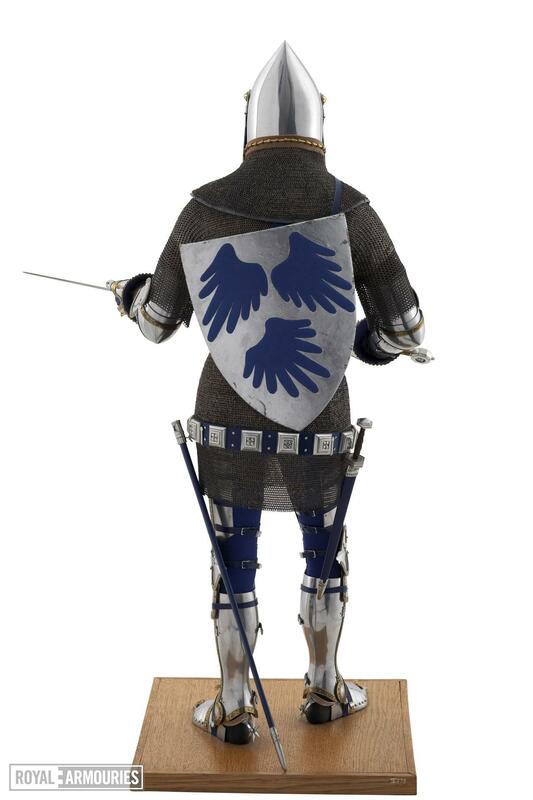 In many movies, medieval armour is misrepresented as being incredibly heavy, with knights winched by cranes onto their horses (the 1944 adaptation of Henry V, for example). 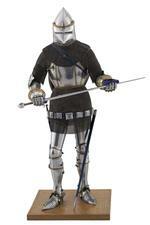 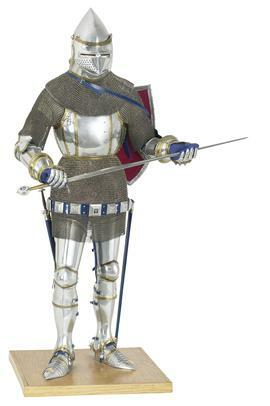 In reality, armour had to be functional and comparatively light if the knight was to be effective on the battlefield. A mail shirt could weigh about 13 kg (30 lbs) and even a suddenly unhorsed knight could quickly rise again, ready for combat.